The neighborhood of Oakhurst had its beginnings in 1923-'24, when Fort Worth businessmen John P. King and Henry King began developing the neighborhood through their Oakhurst Land Company, Inc. Just two years earlier, in 1922, the greater Riverside area had been annexed by the City of Fort Worth, which was experiencing rapid growth associated with an oil boom. OAKHURST is more than a fine suburb, it is more than a charming place in which to build one's home. For, in truth, it is the fulfillment of a dream long held in the hearts of Fort Worth business men. The growing need has been felt for years, but never before has the opportunity presented itself to justify the offering of a sensibly restricted suburban residential district which the average family can afford—where life will be better! Now we have in OAKHURST a desirable residential district where every suburban advantage may be enjoyed, and only eight minutes from Country life for the city man has been the theme of many an advertisement designed to sell lots in localities that can not compare to OAKHURST in value, and at prices several times higher. But, regardless of the price of property, there is no place where the city man can enjoy more country-suburban advantages than in OAKHURST. 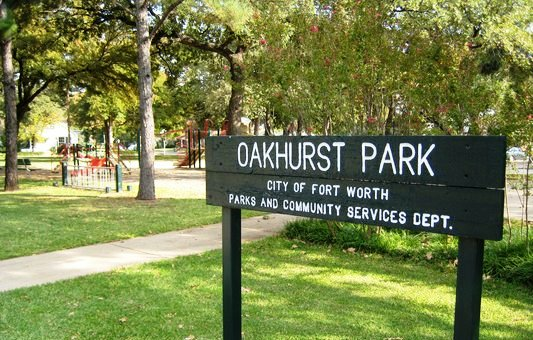 You must visit OAKHURST to fully appreciate it, for it is impossible to adequately describe in words and pictures the surpassing beauty of this newest of Fort Worth's suburbs. Over the decades that followed, Oakhurst experienced times of growth in step with the city and the greater Riverside area, particularly during post-war times. This is illustrated in our Gallery of Homes, which highlights the various groupings of architectural styles found in the neighborhood. Nearly a century after the Kings first began their development, it is fascinating to compare their vision for Oakhurst with the neighborhood as it exists today. The neighborhood retains much of its original charm, and it is now listed as a Historic District on the National Register of Historic Places. The winding streets of West Oakhurst and mature oak trees throughout the neighborhood still beautifully reflect the original design intent of Hare and Hare, a preeminent landscape architecture firm of the period (see article below). And to this day, the residents of Oakhurst take pride in their homes, look out for their neighbors, and continue to make the neighborhood a great place to call home. By Susan Allen Kline, Historian; Adapted from Oakhurst’s National Register of Historic Places Nomination and the History of the Landscape Architecture Firm of Hare and Hare, by Cydney Millstein, accessed April 16, 2005. The Oakhurst Historic District is significant at the local level of significance as an example of the work of the landscape architecture firm of Hare and Hare of Kansas City, Missouri. Hare and Hare was a prolific, nationally-known firm headed by father-son team of Sidney J. Hare (1860-1938) and S. Herbert Hare (1888-1960). Their work included designs for private residents, residential development, institutional, commercial, and civic projects. The firm practiced extensively in the central and south central part of the United States, but their work could be found across the country. In Fort Worth alone, the firm had over 200 public and private commissions. Sidney J. Hare was born in Kentucky and moved with his family to Kansas City, Missouri in 1868. He had no formal training in landscape design, but while in high school, he studied horticulture, civil engineering, geology, surveying and photography. He was employed in the city engineer’s office in Kansas City from 1881-1896, where he gained much practical experience. It was through this job that he met George Kessler, who was then a landscape engineer for the city and would become well-known for his parks and boulevard plan for the city. It was through Kessler that the elder Hare developed an interest in landscape design. The elder Hare served as superintendent of Forest Hill Cemetery, also in Kansas City, from 1896-1902. During his tenure there, he became interested in the concept of a cemetery serving park-like functions such as botanical garden, arboretum, and bird sanctuary. In 1902, Hare established his own landscape design practice where he "incorporated velvet lawns, groups of ornamental trees and shrubs, mirror lakes, curving roads and walks, and long vistas into cemetery designs." Besides cemeteries, Hare’s early commissions included Cunningham Park in Joplin, Missouri (1907) and Waterway Park and Park Wood Subdivision in Kansas City, Kansas (1907). He had completed or initiated over 25 projects in six states by 1910. In 1910, his son, S. Herbert Hare, joined the practice after studying landscape design at Harvard University under Frederick Law Olmsted, Jr. The younger Hare was one of the first six students in the country to be formally trained in the emerging field of landscape architecture. He was admitted to the master’s degree program as a special student but was not awarded a degree because he had not completed prerequisite courses. Harvard’s program was the nation’s first landscape architecture curriculum and the university produced most of the country’s leading landscape architects during the first half of the 20th century. During their collaboration, Sidney Hare preferred park and cemetery projects and S. Herbert Hare took those commissions specializing in community planning and design. Early projects included Warner Place, Jefferson City, Missouri (1913); Point Defiance Park, Tacoma Washington (1914), the park and boulevard system for Kansas City, Kansas (1915); and the campus of the University of Kansas, Lawrence, Kansas (1913-1918). Also included were several cemetery and smaller public and private projects. Perhaps their best-known project during this time was the Country Club District and Country Club Plaza in Kansas City, Missouri (1913), a 2,500-acre commercial and exclusive residential development. Regarding their work during this period, historian Cydney Millstein has noted "Their trademark—winding roads contoured to natural topography, preservation of trees and valleys, and an eye for the scenic vista—became well established." These qualities are still evident in their design for the West Oakhurst Addition. In 1922, in collaboration with George Kessler and J. C. Nichols, the developer of the Country Club District in Kansas City, the firm of Hare and Hare created an entirely new town with a central business district, residential areas, suburban acreage and a manufacturing district with two large mills. Known as Longview, Washington, this project helped establish Hare and Hare’s reputation for city planning. After Kessler death in 1923, the firm took over His Kansas City, Missouri commissions. By the end of the decade, Hare and Hare had a wide array of projects in 28 states. In 1925, Hare and Hare was hired as park consultant by the Board of Park Commissioners in Fort Worth. Mostly under the direction of S. Herbert Hare, the firm completed a park master plan in 1930 and created designs for numerous parks across the city. These included the Fort Worth Botanic Garden (National Register 2009), Forest Park Zoo, Burnett Park, Rockwood Golf Course and Lake Worth. The firm also had numerous private commissions for residential, commercial and institutional designs. John P. King hired Hare and Hare to design several landscape projects associated with his personal and business interests. 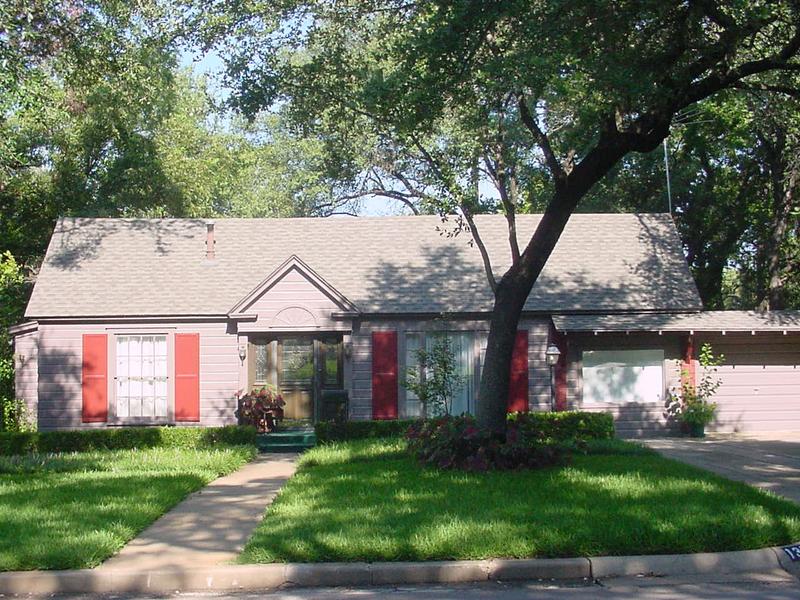 In 1927, the firm developed a landscape design for King’s home at 4926 Crestline Drive on Fort Worth’s west side. Also in the 1920s, the firm created the design for King’s Monticello Addition, also on the city’s west side. The Monticello Addition was laid out with graceful, curvilinear streets with a large greenbelt in the center of the development. In 1938, Hare and Hare devised a revised plat for Block 28 of King’s Oakhurst Addition. This revision included a realignment of Smilax Avenue so that it had a slight curve and terminated with a cul-de-sac. In 1939, the firm developed a complete plan for West Oakhurst Addition, located immediately west of the Oakhurst Addition as suggested by its name. The design for West Oakhurst preserved existing clusters of trees and its curvilinear streets took advantage of the sloping topography. Inclines provided dramatic vistas and distinctive entrances into the neighborhood from Oakhurst Scenic Drive. Prior to working with King on designs for the Oakhurst and West Oakhurst Additions, S. Herbert Hare had become familiar with the area’s topography and plant material through the firm’s work on other projects within the immediate area. The company completed several designs for Mount Olivet Cemetery located directly north of the district. The cemetery was founded in 1907 on C. B. Daggett’s original homestead. The company’s archives contain records associated with the cemetery from 1907, 1929-1930, 1933-37 and 1939-1940. As the city’s park consultant, S. Herbert Hare oversaw the design and construction of Oakhurst Scenic Drive in 1936-37. The completion of this road made it easier for King to develop the West Oakhurst Addition. Other nearby Hare and Hare designs included the grounds landscaping of Oakhurst Elementary School (located just east of the intersection of Yucca Avenue and North Sylvania Avenue) and the new Riverside High School (now Amon Carter-Riverside High School), also located to the east of Oakhurst. Both of these projects were part of a larger school grounds landscaping program sponsored by the Park Department and the Fort Worth Independent School District and constructed by the WPA. Numerous Hare and Hare-designed residential subdivisions are found across Fort Worth. One of their better known projects is the Park Hill Addition in southwest Fort Worth. Opened in 1926, Park Hill primarily consists of two concentric U-shaped streets that encircle a crown of a hill above Forest Park and the Fort Worth Zoo. However, Park Hill was developed for a more exclusive clientele with large Period Revival houses lining the streets. From a landscape perspective, Park Hill sits on top of a hill and the hillside is used (often to dramatic effect) for backyards that generally are not visible to the public. In contrast, the hillside in West Oakhurst becomes a very prominent and visible landscape feature. 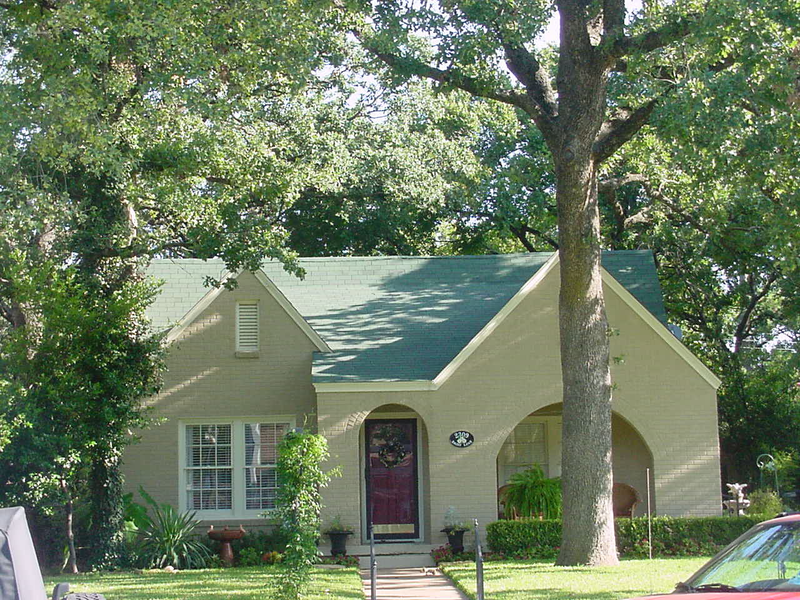 The Oakhurst Historic District is an excellent example of a designed residential landscape in the Riverside area of Fort Worth, Texas. In particular, West Oakhurst showcases the traits for which the landscape architecture firm of Hare and Hare was known—namely preservation of trees, scenic vistas, and winding roads. Read more here about Hare & Hare works on the National Register of Historic Places. Rick Herring, a founding member of ONA and the Riverside Alliance, compiled the following historical information about the development and growth of Riverside. His work hangs in the McAdams Building, on the corner of Race Street and Belknap, as a reminder of what this piece of Fort Worth means to all of its residents. Riverside is a section of Fort Worth that is rich in history and a prime example of how a community on the outskirts of a large city developed from rural, to suburban, to urban, and finally to inner city in the span of a century. In these early years, the rural community east and northeast of Fort Worth was known first as Greasy Bend, later called Sylvania, and then by the early 1890s was known as Riverside—taking its name from a large residential development near present-day East 1st and East 4th Streets. The first bridge across the Trinity River to Riverside was on East 1st Street. 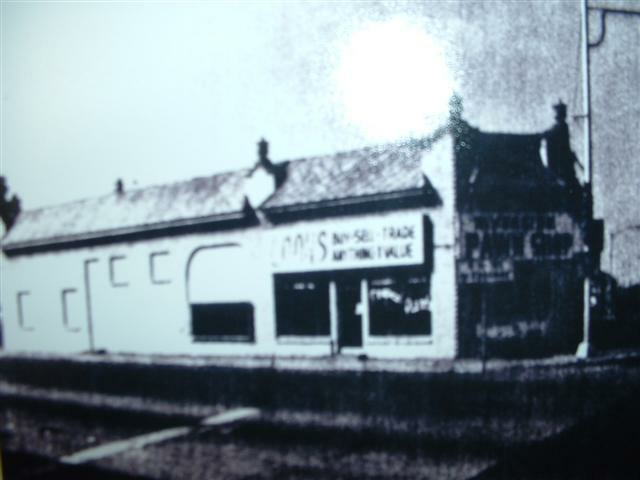 A blacksmith shop, general store, and saloon were in operation near East 1st Street and Sylvania Avenue by the late 1880s. The first Riverside School, built by Dr. Daniel Eagle in 1876, flourished and grew such that Riverside voters established the Riverside Independent School District in 1905 to educate the growing school-age population. During these early years, prior to its assimilation into the Fort Worth school system, Riverside ISD built four school buildings. In the early 1900s, residents also founded several churches to care for the spiritual welfare of the community. Many of Riverside's early residents were produce farmers, and a good number were employed in several nurseries operating in Riverside, including Baker Bros. Nursery. Riverside was, in fact, a prosperous and growing rural community and suburb with schools, churches, businesses, and fine homes when the City of Fort Worth annexed it in 1922. Annexation resulted in improved municipal services, including streetcars, buses, firefighting, and police services. These services allowed large-scale residential development to take place north of the original Riverside community in future years. During the years following annexation, the suburbs of Oakhurst, Sylvan Heights, Springdale, Riverside Estates, and others were born. Many of the street names in Riverside reflect the area's heritage. The "flower streets" of the Oakhurst and Sylvan Heights additions were named for early settlers and residents of Riverside. Today, their names serve as reminders of those Riverside pioneers: Race, Holden, Barclay, Clecker, Clary, Eagle, McLemore, Bird, Cartwright, Westbrook, Hollis, Chesser-Boyer, Tom Ellen, Seaman, Goddard, Beach, Harper, Van Horn, Selma, Ivey, and Maurice. That a plane crashed in Oakhurst in the 1940s? That Oakhurst used to have a water tower? Or that the current site of Calvary Cathedral International used to be a 9-hole golf course? And that "Titanic Thompson" and friends bet on many golf games there? Legend has it that Thompson carried a gun to the course because he never knew just how seriously his gambling buddies might take losing their bets on any given day! A historic district is typically a defined area or neighborhood with a common theme based on architecture, historical development patterns, or social and economic historical patterns. A conservation district is typically defined as an area or neighborhood with a common pattern of spacing, a common developmental pattern, an area of significant natural vegetation or visual appearance, or an area that could potentially be a historic district, but does not have the age or integrity to be designated as such. Is Oakhurst a designated historic district or a conservation district? 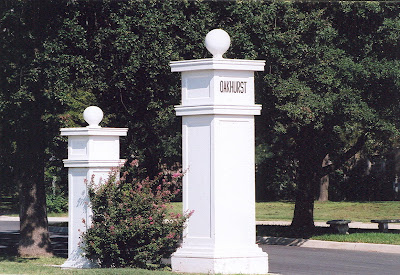 At the national level, the Oakhurst Historic District was listed in the National Register of Historic Places in February 2010. Click here to view the NRHP registration form. 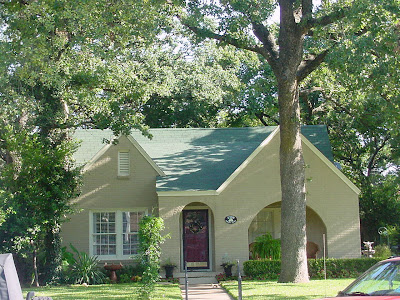 Oakhurst does not have a local historic district designation in place, but there are individual homes within the neighborhood that have attained a historic designation. The City of Fort Worth offers a Historic Site Tax Exemption to homeowners performing substantial renovations on historically-designated properties. To learn more about applying for a historic designation for your property, visit the City's Criteria for Historic Designation website. Where do I learn more about historic preservation and planning?